When you’re shopping for new microphones, you’ll encounter a range of different types of microphones spanning a vast range of prices. The sheer volume of specifications and features associated with the hundreds of available models can be confusing, leaving you with little basis for comparison aside from a microphone’s price. Understanding how the different types of microphones function and what they’re intended for will help equip you to improve your live performances and enhance your recordings. This Clinic will help you find the right mic to match your budget and needs as well cover the most important characteristics of the many different microphone types and models so be prepared to leave here with a lot of education for your future performances. 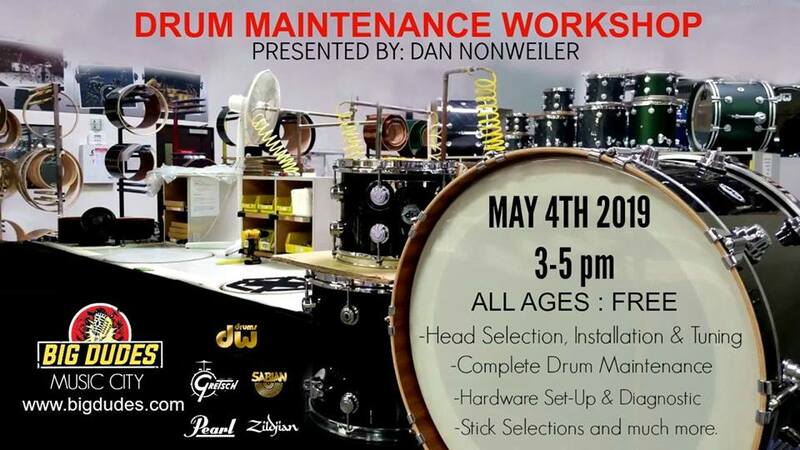 Swing by at 3 pm Saturday May 4th and learn from the Pro's. Allen & Heath will be here on May 18th going over everything you can think of in-regards to the latest SQ Digital Mixers & Recording. There will be Giveaways, Q & A and Hands-On Walk through with all the latest from Allen & Heath. -Delivers class-leading high resolution audio and ultra-low <0.7ms latency. This will be very educational and free so hurry and RSVP your seats by clicking "Going" with limited seating.